In confronting climate change, countries and cities in Northeast Asia face enormous challenges. The area’s economic development is driving up the urbanization rate. It is expected that 70% of the population will come to live in the cities of Northeast Asia in the next 10 years. With rapid urbanization, these cities’ greenhouse gas emissions will also increase. Achieving low carbon development in urbanized areas has therefore become an important policy priority. 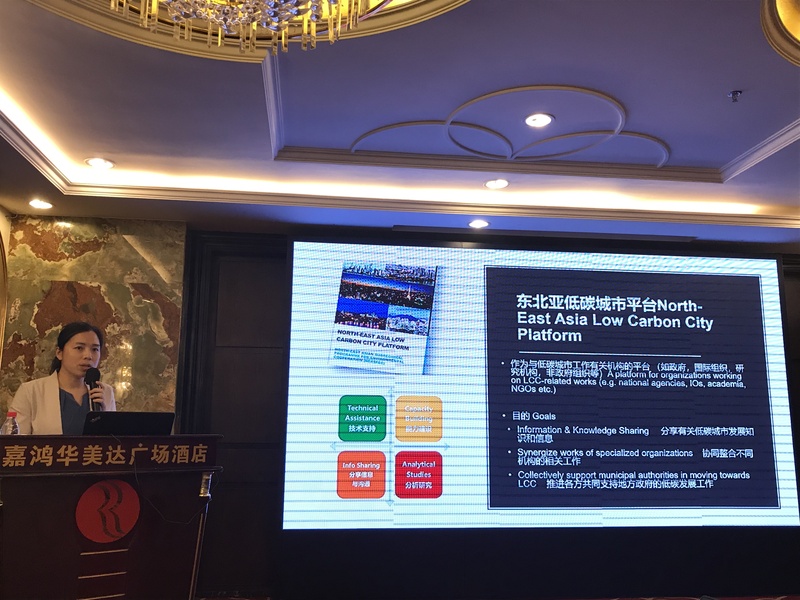 To promote low-carbon development and cooperation among the cities in this region, the North-East Asian Sub-regional Programme for Environmental Cooperation (NEASPEC) launched the North-East Asia Low Carbon City Platform (NEA-LCCP) in 2015. The platform is designed to promote low-carbon policy knowledge sharing and peer-learning among experts from government, the private sector and research institutes. China’s National Development and Reform Commission (NDRC) is currently carrying out a national low-carbon pilot cities program in 6 provinces, 79 cities and 2 counties across the country and recently launched the third batch of low carbon pilot cities and provinces. This program aims to promote cities’ low-carbon transition by strengthening urban low-carbon policies. To better understand the low-carbon development in China at city level, NEA-LCCP has conducted the first peer review exercise for Wuhan City, China by organizing the International Consultation Workshop for Low-carbon city Roadmap: the Green Transformation in Wuhan on 11 June 2018 in Wuhan City. The Peer Review Report for Wuhan City, China is being produced, reflecting the consultation workshop. NEA-LCCP in partnership with iGDP is developing a similar peer review report for Guangzhou City. Against this backdrop, NEASPEC Secretariat in partnership with the Innovative Green and Development Programme (iGDP) organized the International Consultation Workshop for Guangzhou’s Low-carbon strategy on 25 January 2019 in Guangzhou, China as the second peer review workshop under the NEASPEC North-East Asia Low Carbon City Platform (NEA-LCCP). The workshop brought together around 40 international and local experts from fields of urban green and low-carbon development and reviewed progress of Guangzhou's Green and Low-carbon Development Strategy and discussed the medium- and long-term pathways and relevant market-based mechanism/financial support for urban green and low-carbon development. The workshop was successful in exposing workshop participants to valuable new knowledge about low carbon city policy in Guangzhou and Northeast Asia. A site visit to the BRT system in Guangzhou was organized on 24 January 2019.